Tropical gar at the Shedd Aquarium. Photo by Solomon David. First, http://primitivefishes.com is about gars, bowfin, sturgeons, paddlefishes, lungfish and other primitive fishes. Some very cool information and photos. Second, http://lepisosteidae.net is focused on the seven species of gar in the world, David’s research, and news about gar. Everyone who lives near or finds themselves near the city of Chicago should definitely take a trip to the Shedd Aquarium to see the gar on exhibit (and all the other cool fish and other animals). 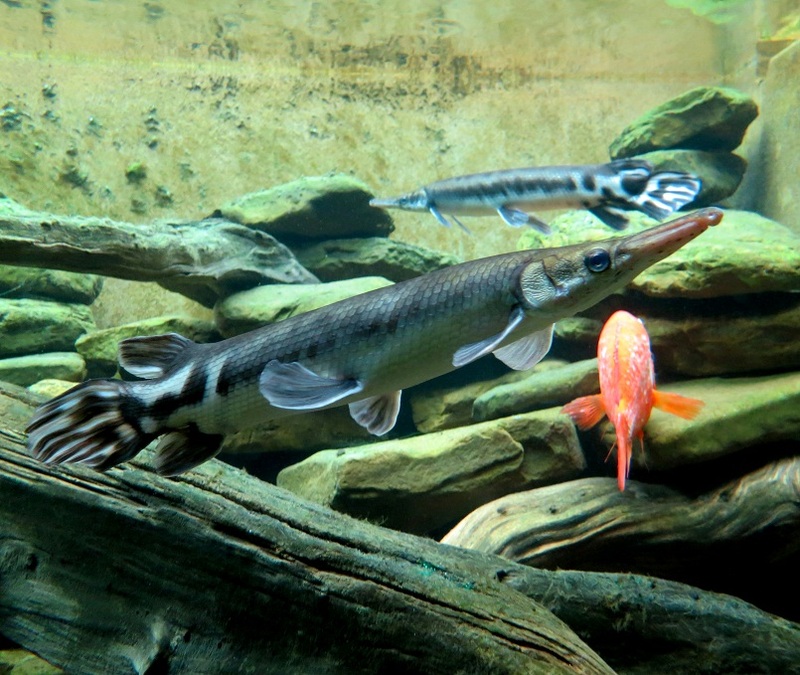 There are currently no Cuban gar being exhibited, but there are the other 6 species: longnose, shortnose, spotted, alligator, tropical and Florida.